By now, you're probably well aware of Matched Betting, and have seen some of the stories of people making £1000 or more every single month. But how do they do it? We'll give you an easy to follow method, to teach you how to do it for yourself. Remember, it's tax free money, so you will be making well over minimum wage in the UK doing this. Who doesn't need that on the side? 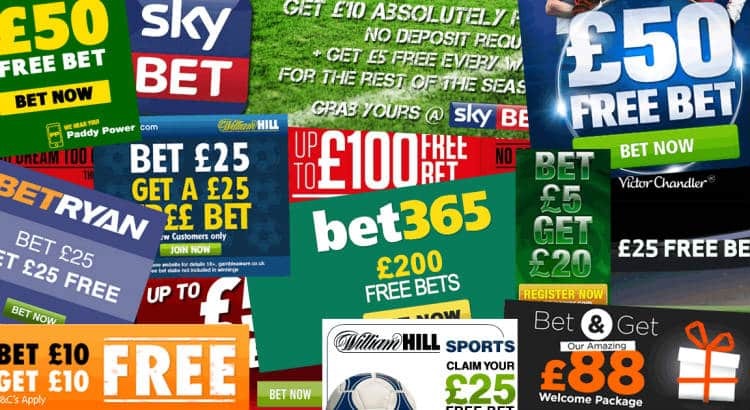 If you've already used Matched Betting before and are looking to continue to make money from it, then skip to the section titled "Reload Offers". If you're new to it all, then read on from here. I'm not going to explain how Matched Betting works in this article, as we have really useful videos on our website explaining that. Just the techniques to use to make £1000 a month or more. When you're starting out Matched Betting, it's both easier and quicker to make money, but as you progress and gain experience, the harder tasks become easier. So hopefully by the time you are ready for Reload Offers, you will have the skills to make money from them relatively easily. Here at Profit Accumulator, we list all the offers known currently in the UK, and we also help with Odds Matching, this takes a lot of the ground work out for you, allowing you to focus on making money. We really recommend getting a membership to a Matched Betting site. Profit Accumulator lists more offers than any of our competitors, and we also have the largest active Matched Betting forum, which offers support, and down the line, invaluable advice on Reload Offers. Before you pay for a membership with Profit Accumulator, we give you two offers for free, allowing you to make up to £45. 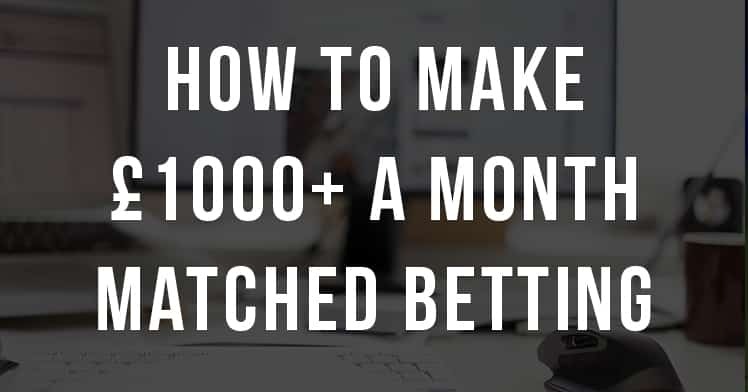 This should cover your first month's membership and allow you to test the waters and understand what's involved with Matched Betting (it's easy, really). So, you've got your account set up, you have access to all the offers, and you've completed our two free beginner offers. But, where do you go from here? We recommend completing our Beginner Offers section, offers range from £10 to £200. You'll need more money in the bank to complete the bigger offers, but hopefully by the time you reach them you will have the money needed to complete them. Take your time going through our Beginner Offers section. There are lots of useful hints, tips and videos included along the way that will help you down the line. On completion of the Beginner Offers, you should have pocketed yourself up to £500. During the Beginner Offers, you may find yourself waiting around for cash withdrawals from the bookies, this problem will go away over time as you build up cash in your bank account. If you started with a bigger budget, you won't have this issue. You've finished the Beginner Offers, are nearly £500 better off, and are looking to make your first £1000. So, what next? Advanced Offers & Casino Offers! They are all listed on our website once you have a membership, along with the details required to walk you through the process of winning money from them. Take your time whilst you work through them, you'll be familiar with how Matched Betting works now, but will still be learning the ropes. Efficiency really is key. To make £1000 a month you will need to be spending 1-2 hours per day Matched Betting - so use your time wisely! After you work through the Advanced Offers and Casino Offers, you should be well over £1000, and all this can be completed within the first month of signing up. But this is where some people fall down, and don't continue to make money from Matched Betting, or see their profits dwindle. That's where our Reload Offers really come into their own. This is the bread and butter. It's how you will continue to make £1000+ per month. By the time you move onto Reload Offers make sure you have completed all of the Beginner Offers, the majority if not all of the Advanced Offers and some if not all of the Casino Offers. Again, if you've done this, you should be £1000-£2000 up. This is your Matched Betting pot, the bigger the pot, the more money you make from Reload Offers. Try to always have £1000 in your pot. Reload Offers can be very different to the original offers you completed. Some may have different requirements such as placing the bet from mobile, or having to make multiple bets before qualifying for the free bet. However, if completed correctly, they will have the same outcome - making you money! We have hundreds of Reload Offers listed on our website, and every day on our Platinum Forum there are Reload Offers posted that will continue to make you £1000 a month at least. It's important to not be too picky when it comes to picking offers, if it's different to what you're used to don't dismiss it, or if it's only £5 don't dismiss it either. They all add up, and you should have the required skills by this stage to complete offers of varying difficulty. Get yourself into a routine, keep money in your pot, and set yourself a figure to make each day, each week and each month. And there we have it! If you follow this guide you should be netting yourself over £1000 a month. Like anything, it does require effort, but what's better than sitting at home in your pyjamas with a cup of tea making over £1000 a month?